Unquestionably, one of the most famous men associated with S4 (Sector - 4) is physicist Bob Lazar. Robert Scott Lazar was born in Coral Gables, Florida, in 1959 and is a name numerous people associate with alien spaceship reverse engineering . 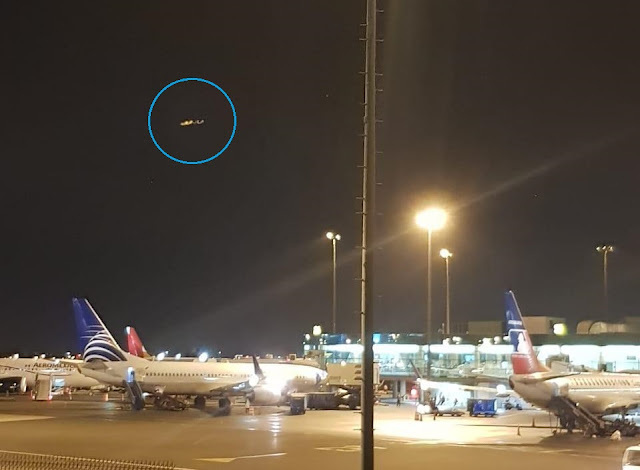 This is due to the fact that he claims to have been employed at a complex recognised as "S-4" deep within the now dry Papoose lake bed from 1988 until 1989 as a physicist at an area called S-4 (Sector Four), located near Groom Lake, Nevada, next to Area 51. 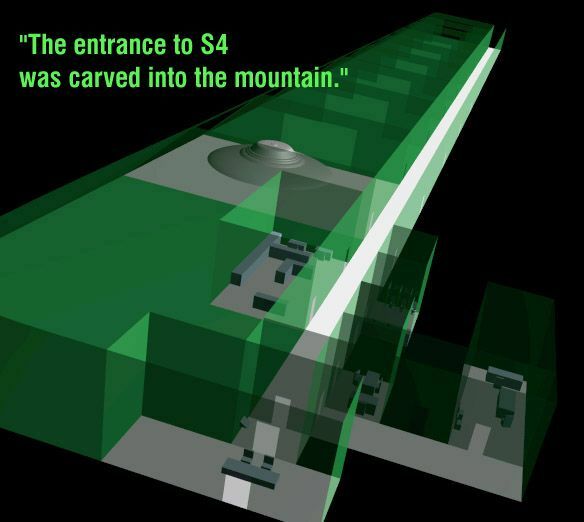 According to Lazar, S-4 served as a hidden military location for the study of and possibly reverse engineering extraterrestrial flying saucers. Lazar says he saw nine different discs there and provides details on their mode of propulsion. Bob portrayed the complex as having being built into the bottom of the Papoose Range with nine aircraft style hangar doors angled at 60 degrees. Lazar described the space craft that he performed on as being powered (energy source named "Element 115") through an anti-matter reactor. 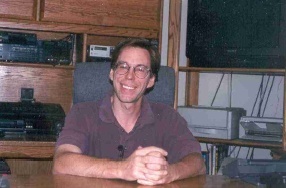 The major Bob Lazar's scientific disclosures was the existance of a stable isotope of Element 115, which is needed for the ship's antimatter reactor. During the time period when Bob Lazar first spoke with George Knapp on Coast to Coast (1989) AM under the cover-name "Dennis", Science had not yet discovered Element 115. Bob Lazar stated that the “Sport Model” Flying Disc amplified the “Strong Nuclear Force” of Element 115 (UnUnPentium or UUP) to generate the gravity field for “Space-Time Compression.” Bob also stated that the U.S. Government had 500 pounds of Element 115 in their possession. The raw Element 115 was given to the U.S. Goverment at S4 by the Reticulan EBEs (Extraterrestrial Biological Entity) in the form of discs. The scientists at S4 sent the Element 115 discs through Groom Lake to Los Alamos National Laboratory in New Mexico, to be milled for use in the Anti-Matter Reactor. Bob Lazar evidence to support his employment and subsequent whistle blowing claims came by way of a payslip which contains the intriguing designation E-6722MAJ and an internal telephone listing of the Meson Laboratories 1982, which included Bob Lazars name. It was also identified that his taxation documents incorporated the contract number he was provided while working at S-4.Certainly some convincing evidence to support his employment at the top secret base. However, people started to become somewhat sceptical of his claims when it emerged that his educational background did not stand up to scrutiny. No substantiated evidence could be found [or intentionally removed] that he had attended the California Institute of Technology or the Massachusetts Institute of Technology as he had previously stated. In Lazar's first interview he talked about Element 115. Fifteen years later in 2004 scientific breakthrough, however, provides significant credibility to Bob Lazar’s claims rather than discrediting his claims, when scientists at the Lawrence Livermore National Laboratory, in collaboration with researchers from the Joint Institute for Nuclear Research in Russia (JINR), announced that they discovered two new super-heavy elements, Element 113 and Element 115. The Isotope of Element 115, produced by bombarding an Americium-243 (95Am243) nucleus with a Calcium-48 (20Ca48) nucleus, rapidly decayed to Element 113. then continued to decay until a meta-stable isotope was obtained. "Some antimatter reactions produce blasts of high energy gamma rays. Gamma rays are like X-rays on steroids. They penetrate matter and break apart molecules in cells, so they are not healthy to be around. High-energy gamma rays can also make the engines radioactive by fragmenting atoms of the engine material. Previous antimatter-powered spaceship designs employed antiprotons, which produce high-energy gamma rays when they annihilate. The new design will use positrons, which make gamma rays with about 400 times less energy." 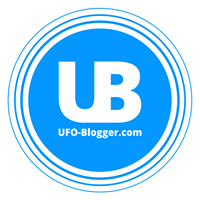 But now in latest development as we discover, in down below interview Bob Lazar claims get validated by Senior Scientist for Lockheed Martin Boyd Bushman!